UPS plunked down reservations for 125 of Tesla’s electric heavy-duty trucks, the largest announced pre-order for the automaker. The move by UPS, the nation’s largest private delivery company, will be seen as a vote of confidence for the Tesla Semi by the shipping and logistics industry. “These groundbreaking electric tractors are poised to usher in a new era in improved safety, reduced environmental impact and reduced cost of ownership,” said Juan Perez, chief information and engineering officer at UPS. The delivery company joins a growing list of trucking and logistics firms willing to put down $20,000 reservations for the new truck. Tesla has shown prototypes of its Semi, but it won’t go into production until 2019. Tesla has announced reservations for at least 381 trucks. It likely has more that are unannounced. The Semi starts at what Tesla calls an “expected base price” of $150,000 for a truck with a 300-mile range per battery charge. That jumps to $180,000 for a 500-mile range truck. The higher price covers the cost of a bigger battery. Food, beverage and retailers are the first hand raisers. PepsiCo said it wants 100 Tesla Semis. Sysco, a large food service company, has reserved 50. Anheuser-Busch is asking for 40. Canadian grocer Loblaw has ordered 25 and Walmart wants 15. “The Tesla Semi continues to pick up validation from customers both in terms of a growing order book as well as endorsement of its capabilities,” Ravi Shanker, a Morgan Stanley analyst, wrote in a report to investors Monday. 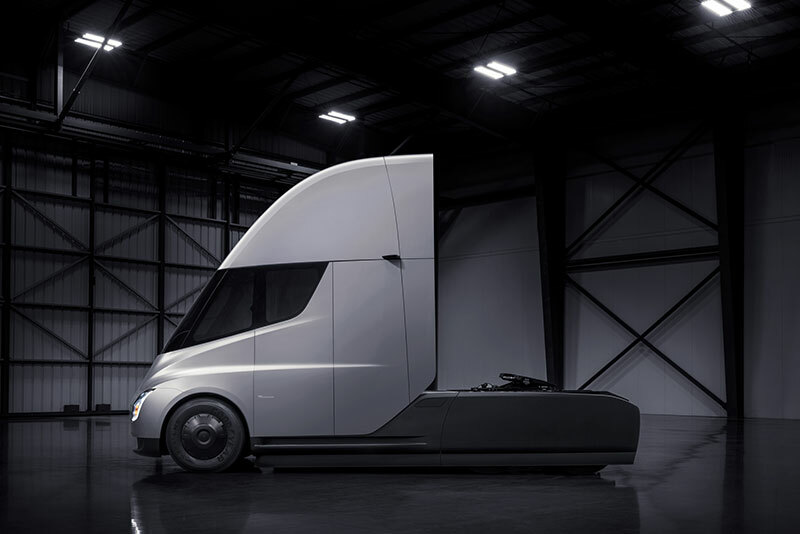 While Tesla has heard from a handful of major motor carriers, including J.B. Hunt and Schneider, they have not said how many Tesla trucks they are looking at. Big trucking companies are the most important segment of the business because they are the highest volume buyers. Navistar International Corp., for example, recently completed a $200 million multi-year deal to sell 1,665 International LT semi-tractors to US Xpress, a large Chattanooga, Tenn., trucking company. XPO Logistics, another large trucking company, has confirmed it is testing the Tesla truck but has not placed an order. “Carriers we have spoken with have said that the truck seems impressive but remain somewhat skeptical,” Shanker said. Still, the UPS order for Tesla trucks is a significant milestone, analysts said. “It’s a great vote of confidence. These orders also put pressure on Tesla to actually deliver,” said Michael Ramsey, an analyst with Gartner Inc. Interior of the Tesla Semi. The driver seat is centered between a pair of 15-inch information screens. Tesla has struggled to get its passenger cars to market, often encountering production delays. It is currently dealing with component supply and assembly problems as it works to launch its Model 3 compact sedan. The UPS order brings a “cool factor” and provides Tesla with a “marketing bump,” Ramsey said. The mix of businesses ordering Tesla trucks all have highly refined cost of ownership models to evaluate the economics of purchasing and operating various types of vehicles and technologies, said Bill Van Amburg, senior vice president and head of trucking programs for Pasadena, Calif.-based clean transportation technology coalition Calstart. “Clearly, they see that Tesla is offering a potential solution that can meet or actually do better than their current fleet cost structure,” he said. There are additional climate and emission benefits derived from the trucks. “This is the biggest sign yet of the desire for and willingness to adopt a fundamentally different platform in heavy-duty trucks,” Van Amburg said. UPS said it consulted with Tesla as the automaker was designing the truck. The shipping company is aggressively looking at alternative fuel technologies. It announced in June a goal to transition 40 percent of the ground fuel it uses to sources other than conventional gasoline and diesel by 2025. It also wants to cut its greenhouse gas emissions from global ground operations 12 percent by 2025. Already, UPS has deployed one of the largest private alternative fuel and advanced technology fleets in the U.S. It has 8,500 such vehicles using a range of electric, hybrid electric, hydraulic hybrid, ethanol, compressed natural gas, liquefied natural gas, propane and biomethane powertrains. 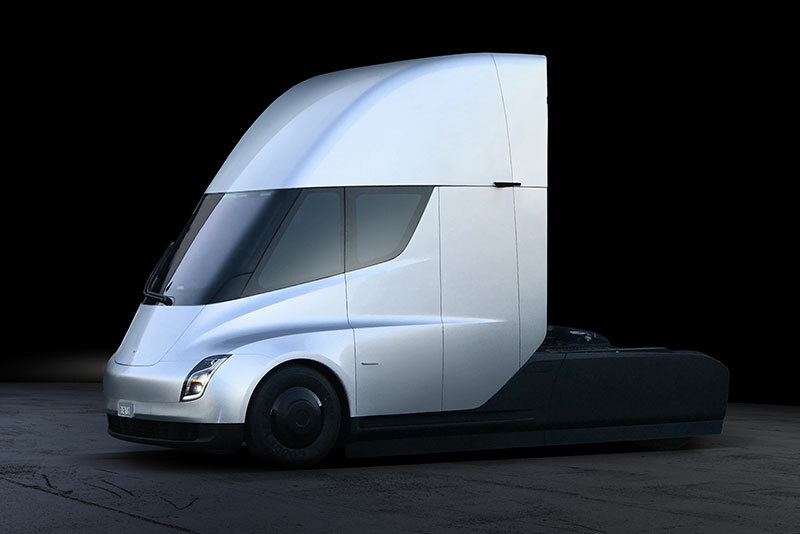 When he introduced the truck in November, Tesla Chief Executive Elon Musk said the Semi’s aerodynamic design and electric drive train will power the truck and trailer – 80,000 pounds –from zero to sixty mph in 20 seconds. That is about 40 seconds faster than a conventional diesel truck, he said. 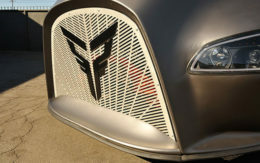 It will climb 5 percent grades at 65 mph compared to the 45 mph of a diesel truck, Musk said. Unlike a conventional diesel truck, there is a single driver’s seat centered in the cab between a pair of 15-inch information screens. The Tesla Semi is initially designed for short- and regional-haul routes, such as those that run goods from ports to distribution centers, but Musk said a long-haul sleeper cab model is in the works. Fully loaded, the Tesla Semi is capable of 500 miles of range at highway speed, he said. While lengths under that range are generally considered regional, rather than a long-haul, the truck would satisfy many freight requirements. Nearly 80 percent of freight in the U.S. is moved less than 250 miles.